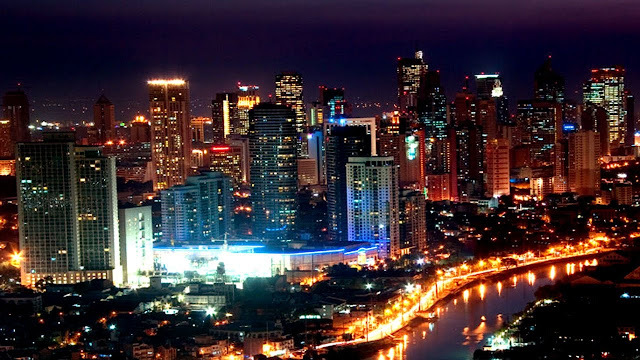 MANILA -- Malacañang on Friday welcomed the positive outlook of Moody’s Investors Service on the Philippine economy. “We welcome the positive outlook of Moody’s Investors, stating that the Philippines is expected to sustain its robust economic growth over the next few years,” Presidential Spokesperson Harry Roque said in a press conference in Malaybalay, Bukidnon. Roque said Moody’s has attributed the country’s economic growth to the government’s focus on what has been touted as "the golden age" of infrastructure development. “This only goes to show that our ‘Build, Build, Build’ program continues to provide favorable results for the country,” he said. According to the Department of Budget and Management, the government’s infrastructure spending from January to June 2018 reported an increase of 41.6 percent to PHP352.7 billion compared to last year’s PHP249.1 billion during the same period. More than 70 big ticket infrastructure projects that will be constructed under the “Build, Build, Build” program are designed to spur economic development, particularly in the rural areas. “Related to this, the Department of Finance stated that the package of the Tax Reform for Acceleration and Inclusion contributed PHP33.7 billion worth of revenues in the first half of the year. This surpassed the target revenue by PHP3.6 billion,” he said. In the same media briefing, Roque announced that President Rodrigo Duterte’s “Report to the People 2016-2018 Transforming the Nation Thru Strong and Decisive Leadership: Malasakit at Pagbabago” is now available to the public and downloadable through the Presidential Communications Operations Office (PCOO) website. “This report complements the President’s State of the Nation Address, which was concise and straight to the point,” he said. Roque said that consistent with the administration's promise, it presents the government’s milestones and accomplishments for the past two years.